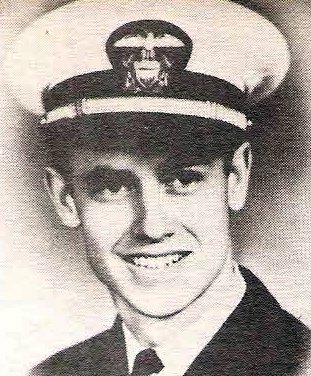 Lt. C. L. Loftin, son of Mr. and Mrs. Ruben Loftin, Graham, graduate of Denton High and received Law Degree from Texas U. Entered Navy, served 9 engagements at Guam, Tinian, Saipan, Marshalls,N. Guinea, Solomons, Markana, Truk and Gilberts. Killed in mid-air crash over Lake Monroe, Fla.